Purchase the WPDating Comet Chat Add-On to integrate it into your site with WPDating plugin. If you have already purchased, move to number 3. Now you will receive a file with the name cometchat_UNZIP_FIRST.zip. 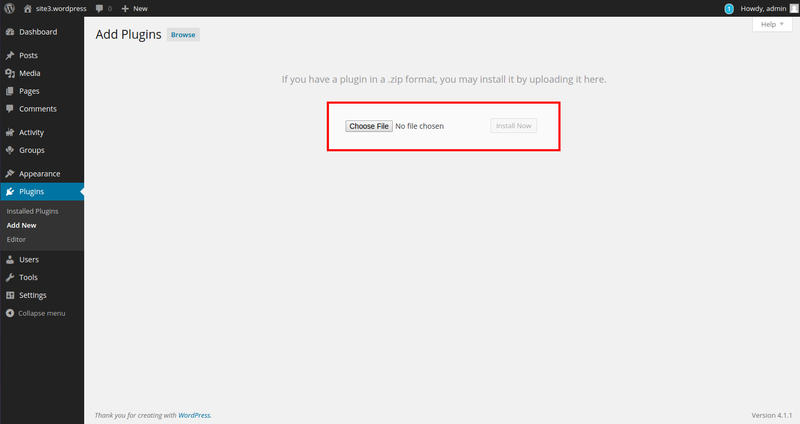 Extract the zip file, then you will have two files named wordpress.zip (This comes in a package you purchased from comechat.com, please note this is not a file to be used. You need to use our add-on wordpress.zip instead of this file) and cometchat.zip. 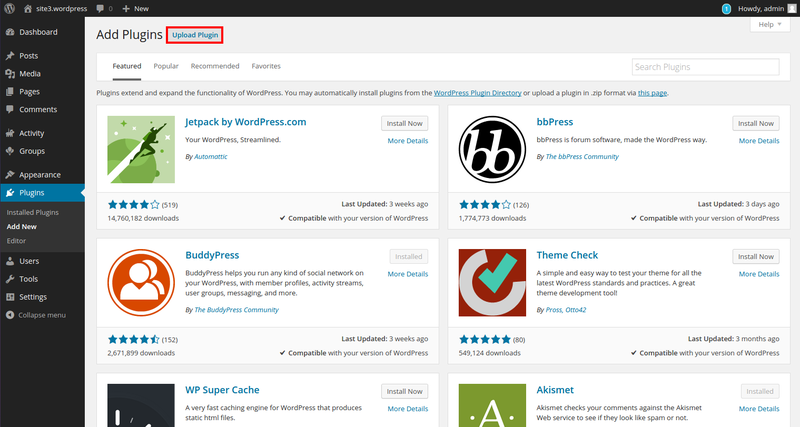 Now, go to the plugin section in your WP Dashboard and Add the new plugin WordPress.zip(i.e. our add-on which you purchased from wpdating.com). Following the step 4, this will create a CometChat option on the Dashboard. 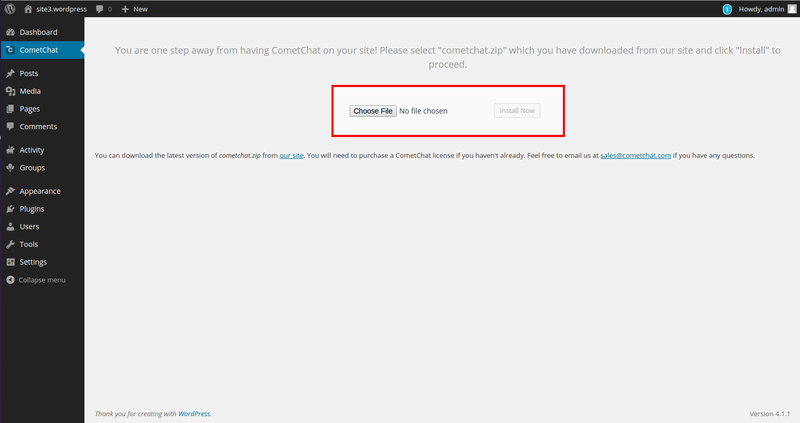 Click on the CometChat option in the dashboardClick “Choose File” and choose cometchat.zip and click Install Now. Note : You need to have the WPDating plugin activated for this. Note: If you face problem while uploading ‘cometchat.zip’ file, please unzip the ‘cometchat.zip’ that has been provided in the package. 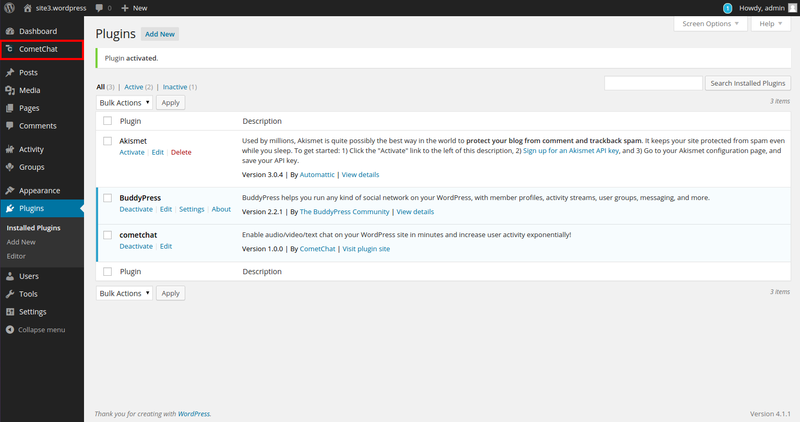 Place the ‘cometchat’ folder in the wordpress root directory and execute ‘cometchat/install.php’ from “ http://<path_to_wordpress>/cometch at/install.php”. 6. Once you receive “CometChat has been successfully installed!” message, and Installation is Completed!